Prosecutors are cracking down on drug crimes throughout Missouri, making them an enormous portion of criminal justice system in our state. Over 35,000 drug-related arrests are made in Missouri every year—many of these convictions resulting in heavy jail sentences and fines. Charges can involve both street drugs (heroin, cocaine, marijuana and methamphetamine) and prescription drugs. As a first time offender, do not make the mistake of pleading guilty by going to court without speaking to an attorney. This decision may alter your life forever. Long-term consequences could make it difficult to become employed, lease or purchase a house, or attend a university. It’s important to consult with a drug crime defense lawyer who can help you understand the charges you are facing, your constitutional rights and your legal options.  Austin Bradley Law Office provides representation for clients facing drug possession or paraphernalia possession charges. Some individuals with drug charges have addiction issues they have trouble overcoming—not knowing where to seek help. Austin Bradley works with each client to help find a substance abuse treatment needed to get past this issue. By seeking treatment, not only is the client is able to overcome the addiction and remain sober, but can also help mitigate charges or penalties leveled against the client by the court. Don’t let a drug addiction or a drug related charge affect the rest of your life.